Epicor 10 includes these important features, and keeps the capabilities from Epicor 9 that made it so powerful. Sales, Production, Supply Chain and Financial Management are just some aspects of Epicor 9 that were kept for the newest version, and many more apply. We are excited to be able to work more efficiently to satisfy the needs of our customers. As part of its continuous improvement program, L.M. Gill is enhancing its CNC Milling and Turning, as well as its inspection tools with the intent of improving the fabrication of goods. In particular, the Hydrostatic Tester allows for precision hydrostatic testing of components, up to 10,000 psi. 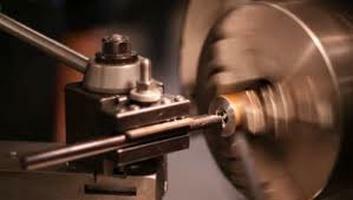 In addition to testing tools, there have been additions in CNC Turning as well. The Daewoo Puma 400MB is an incredibly advanced, state-of-the-art piece of machinery that aims to streamline both the milling and turning processes. Another important acquisition includes the Hyd-Mech H14A Saw. L.M. Gill has recently acquired a Daewoo Puma 300 as well as a Daewoo Puma 240 as new CNC Turning machines to replace older equipment. These machines will be very helpful in that they will allow for quicker fabrication of parts for our customers. More additions include a Clausing Colchester 21/32 engine lathe. All six of these new machining tools will aid the company to greater efficiency, precision and craftsmanship. In May, L.M. Gill acquired an Aberlink Zenith II Coordinate Measuring Machine with a motorized Renishaw head. This is a full DMC-controlled machine that will greatly improve the accuracy and speed of our dimensional inspections. This system will allow L.M. Gill to accelerate business processes and provide improved visibility. Ultimately, this will provide customers with improved support in the classic areas such as quality, delivery and overall customer support and upfront communication. The implementation of this system represents a major milestone in L.M. Gill's commitment to continuous improvement and customer satisfaction. 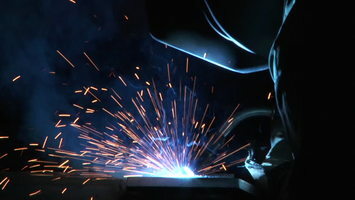 We are meticulous metal crafters of Naval, Industrial, Aerospace applications and the repair of Industrial Gas Turbine components using welding, machining and assembly processes and techniques. Over the past year, as part of its ongoing continuous improvement program, L.M. Gill has been upgrading its Quality and Welding procedures, processes and practices to meet the stringent requirements of Nadcap. L.M. Gill is pleased to announce that in May of 2010, it has achieved the Nadcap Accreditation for Welding. This Accreditation represents a major milestone in L.M. Gill's continuous drive of providing its customers with the highest level of product quality. For additional information on the Scope of Accreditation, please visit the Nadcap website or contact L.M. Gill's Quality Manager. What is Nadcap? CLICK HERE to visit our Glossary. CLICK HERE to view our newest Nadcap accreditation certificate. As part of its ongoing continuous improvement program, L.M. Gill is enhancing its fabrication tools and equipment while increasing its raw material stock to decrease turn time and increase the speed and accuracy of its manufacturing processes. In addition, because many of the items manufactured are mission critical, L.M. Gill has added the latest technology in portable x-ray fluorescence equipment, a Niton 800XL3t, to verify the material received is what was ordered. During the second half of 2008, L.M. Gill acquired a ProtoTRAK2460SX with an SLX CNC control. This piece of equipment is designed for rapid setup and programming of short production runs. In addition, L.M. Gill has added hundreds of thousands to long lead time materials to its in-house raw material inventory. These enhancements will allow L.M. Gill to better meet its customer needs for rapid delivery of custom items while providing increased confidence in product quality. L.M. Gill is pleased to announce that it has achieved registration to AS9100, the aerospace standard of the International ISO9000. Achieving this registration is a major milestone in L.M. Gill's relentless pursuit of providing our customers with the highest level of product quality, customer service and on-time delivery. 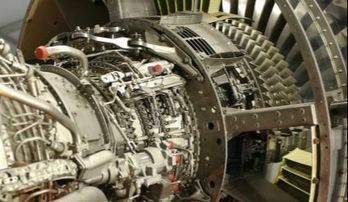 We are meticulous metal crafters of Naval, Industrial and Aerospace applications and the repair of Industrial gas turbine components utilizing welding, machining, and assembly techniques and processes. What is AS9100? CLICK HERE to visit our Glossary. We are pleased to announce that the team of Burritt Machine, Inc. (BMI, formerly of New Britain, CT) has joined L.M. Gill Welding and Manufacturing. The combined knowledge and experience of Burritt Machine and L.M. Gill brings nearly a century of machining and engineering expertise of the highest level to our customers. Founded in the late 1960s by renowned industry icon, Nick Sarra, Burritt Machine has provided commercial and military organizations with precision fittings, couplings and closures, from pipe flanges to plugs and valve pieces. Specializing in mission-critical nuclear submarine applications, Burritt brings to L.M. Gill an unprecedented level of manufacturing skills including Level 1 and nuclear specialty fittings. Nick Sarra continues to work with the L.M. Gill team and remains an important contributor in maintaining the high standards for excellence at L.M. Gill.